In T minus two Saturdays, you’re going to have some big decisions to make. Second: how to roll a Cinco de Mayo and a Kentucky Derby party into one. Here to help: Eventup, an online booking tool for hosting parties in famous and spectacular venues, available now. You’ll use this when you’re looking to bring your friends together, but you don’t want to play host in just any old spot. You want something under the radar. Someplace with history. Or, you know, an island. Basically, a place you might not know exactly where or what it is until you see it. Let’s say you’re planning that dual bash next weekend. You’ll enter the relevant search criteria (spa, pool, full bar and the like) to shorten the list of roughly 500 in the Bay Area to something more manageable. 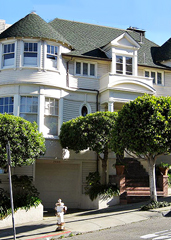 If you can justify calling your soiree a “photo shoot” (we’re pretty sure photos will be taken), Jimi Hendrix’s old place, Marilyn Monroe and Joe DiMaggio’s pied-à-terre, and the house where Mrs. Doubtfire was filmed could be considered fair game. Otherwise, there’s a pool-equipped winery in Sonoma, and Forbes Island, the world’s only floating island/restaurant. Well, besides the one at your place. Enjoy. Or Better Yet, Ignore This Entirely. It's Called the Oculus Quest. And It's Pretty Frickin' Cool. A GIF Robot? Yes, This Is a GIF Robot. Meet Peeqo. It's Like Alexa, If Alexa Only Communicated Through GIFs.